Here is a further update to the WestJet and Air France KLM partnership. We have been wanting to write a post about using Flying Blue miles for WestJet flights however their online booking engine is not grabbing WestJet flights yet. 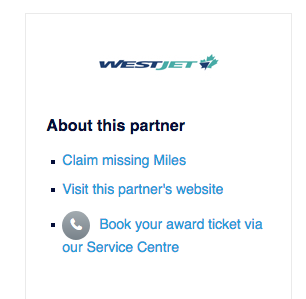 They have updated their partner page for WestJet stating that you have to Call in to book Flying Blue Awards for travel on WestJet. So they are bookable but not online nor do they list what the redemption amounts are yet although we assume that it will be 12,500 miles one way for flights within North America as that is what Flying Blue charges for flights on other North American airlines. Hawaii may be 15,000 (that's what it is to redeem on Delta via Flying Blue) and so on. When you travel enough and stay in a lot of hotels you get recognized - and it doesn't matter the size of the company or their loyalty program. 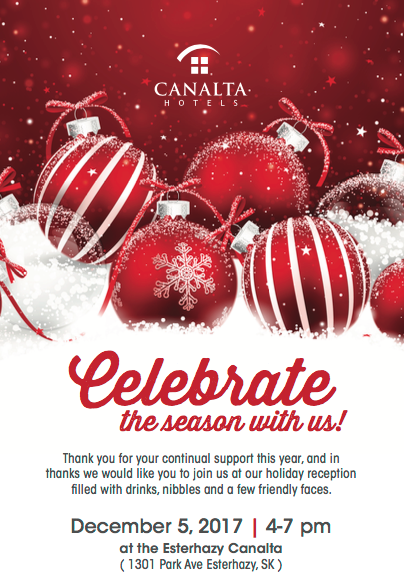 Rewards Canada contributor Bill W. (see our Collector Series story on Bill) received this nice invite from the Canalta Hotel in Esterhazy Sasktachewan to attend their Christmas party! Rewards Canada's Black Friday / Cyber Monday Deal Round up! Save on flights, hotels, car rentals, earn more miles and more! SkyTeam Lounge opens in Vancouver - their first lounge in the Americas and Priority Pass members are welcome! Check out our separate post that rounds up all the Black Friday and Cyber Monday deals!